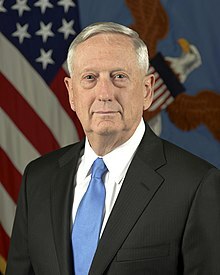 James Norman Mattis (born September 8, 1950) is an American veteran and former government official who served as the 26th United States Secretary of Defense from January 2017 through December 2018. He resigned over policy differences with President Donald Trump. 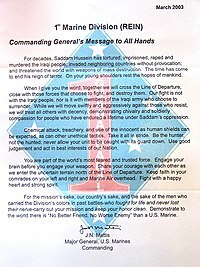 A retired United States Marine Corps general, Mattis served in the Persian Gulf War, War in Afghanistan, and the Iraq War. ^ Cooper, Helene (23 December 2018). 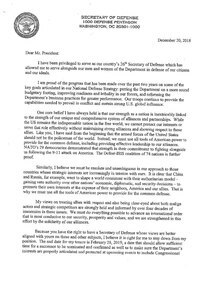 "Trump, Angry Over Mattis's Rebuke, Removes Him 2 Months Early". The New York Times. Retrieved 23 December 2018.